The Additive Manufacturing industry is all about innovation: new materials, new 3D printing technologies, outstanding design possibilities and of course disrupting size capabilities. 3D printing is not limited by the size of the printing bed. It can go larger or smaller. Nowadays, with very large 3D printers you achieve enormous 3D printed constructions like 3D printed furniture, 3D printed houses or even 3D printed bridges. On the other hand, with the right 3D printer, you can also 3D print something at a very small scale. In this article we will compare 3D printers that can print at a scale of millimeters, centimeters and meters: in other words, the smallest and largest 3D printers on the market! A 3D printer is the machine that builds up your parts during the 3D printing process. The 3D printing process starts with the creation of a digital file (in other words a digital file that contains your 3D model), which will then be processed by the 3D printer to create the actual product. The 3D printer extrudes 3D printing material layer by layer, until the final object is created. The choice of the right 3D printer for this process is a crucial point. Which parameters should you take into account when choosing the best 3D printer? Do you need it for professional or for domestic use? Which should be the compatible filament types? Will it be a plastic 3D printer, a metal 3D printer or a resin 3D printer? What is the budget that you want to spend on this investment? Today, we will try to answer another question: How small or how large do you want the 3D printer to be? As a matter of fact, large 3D printers address to scale industrial construction projects, whereas small 3D printers (like desktop ones) are more adept for domestic or educational use. Let’s see the printer features of the very small and very large 3D printers that you can currently find on the market. BetAbram is a manufacturing company that is 3D printing houses in places that have suffered a natural disaster or are in extreme poverty. In areas where people need a relatively affordable and fast option for building a house, the BetAbram P1 3D printer is a great solution as it is one of the biggest 3D printers. It can build at a very large scale, in a building platform that is up to 18 x 9 x 2.5m, which is translated into a construction that weights up to 520kg. Considering the limitations of a traditional 3D printer used in the field of construction, the BetAbram P1 is a relatively large one, and it can use construction aggregate materials. 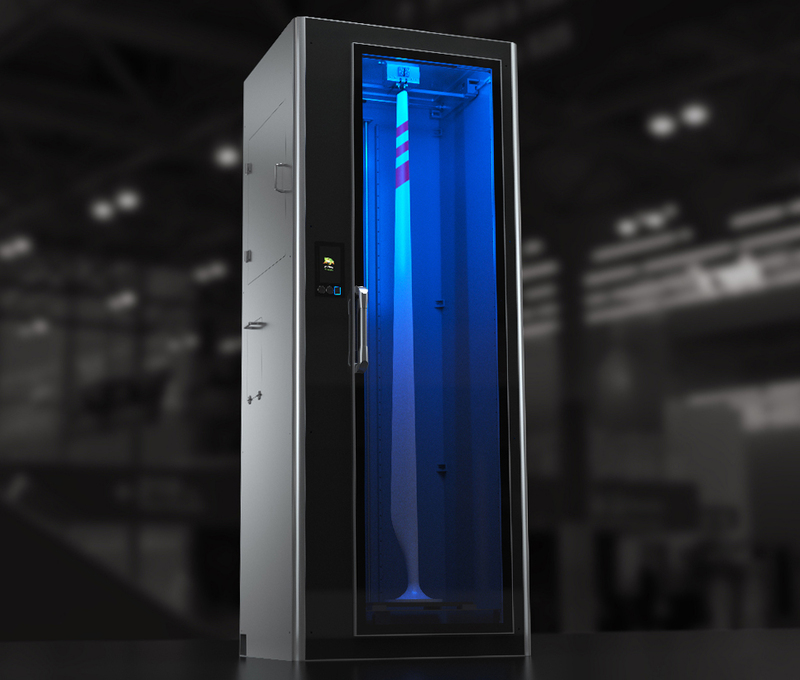 One of the 3D printers with the biggest building size is the d-shape 3D printer. 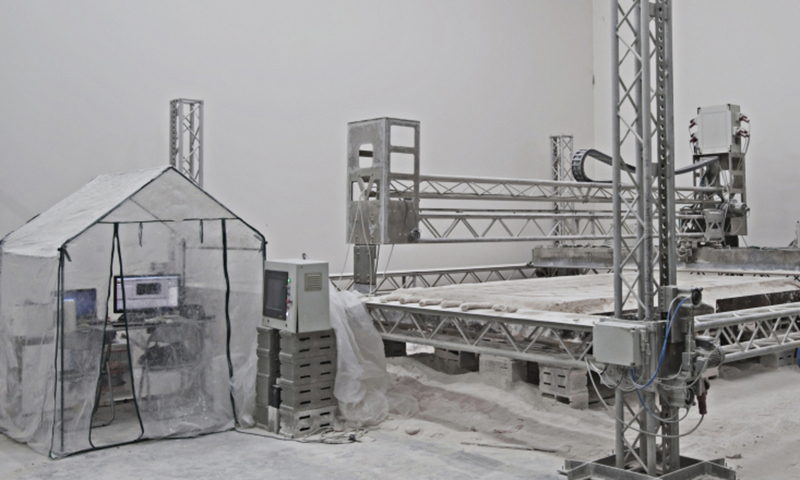 In 2007, the civil engineer Enrico Dini created the first large scale 3D printer used at a construction scale. 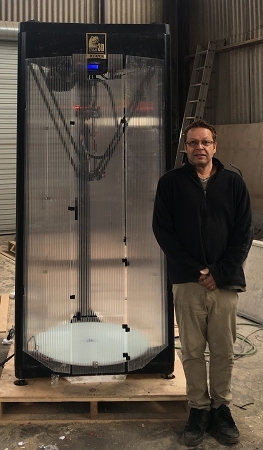 d-shape is a very large 3D printer, as it’s printing size reaches up to a 4×4 meter frame with various layer heights. Also, it consists of a custom print head holding up to 300 nozzles. The printer works with the Binder Jetting technology, according to which, sand is spread and flattened on the print bed and then droplets (voxels) of binding agent are deposited to fuse the powder together. The whole process is repeated until the final construction is completed. The H2000 is a very large 3D printer developed by Stratasys to break the conventional size limits of Additive Manufacturing. The printer uses the Fused Deposition Modeling technique, according to which, material is extruded by the printer’s nozzle and additively deposited on the build platform. What is very interesting about this printer is that it builds on a vertical plane, which allows for creation of way larger constructions. By tilting the building process, the 3D printer is able to build up objects of any dimension and in this way it optimizes large-scale manufacturing. The Deltazilla is a professional delta 3D printer made by Zilla3D company. It is one of the biggest 3D printers, as it has a build area that can 3D print up to 750 × 750 × 1168 mm. Deltazilla is an FDM 3D printer that processes various filament types, such as PLA, ABS and other 3D printed plastics. The 3D printer kit is delivered with 3 kg of white PLA filament and a 3 kg spool of black ABS filament. Moreover, apart from its large printing bed, it can also work as Laser Engraver. It has a laser engraving tool-head that is ideal for engraving objects made of thermoplastics or wood. The DeltaWASP 3MT is a large scale industrial 3D printer, that is particularly suited for 3D printing furniture. It is a multi-tool machine to create customized 3d printed furniture. It can produce high-quality chairs, tables, sofas etc in a short time. The impressive thing about DeltaWASP 3MT 3D printer is that it can build up to 3 meters high structures. The leapfrog xcel is a 3D printer made for professional and industrial use. It is the biggest FDM 3D printer of the company, with capabilities to make life-size prints with high precision. Indeed, it has a huge building platform (610 Liters) and the maximum building size is 510 × 520 × 2300 mm. The leapfrog xcel also comes with a patented level bed calibration and a cross platform that is wifi compatible. The RepRap X1000 is a 3D Printer that is using the Fused Filament Fabrication (FFF) 3D printing technology. It is developed for 3D printing large size objects or multi-object prints in industrial quality. 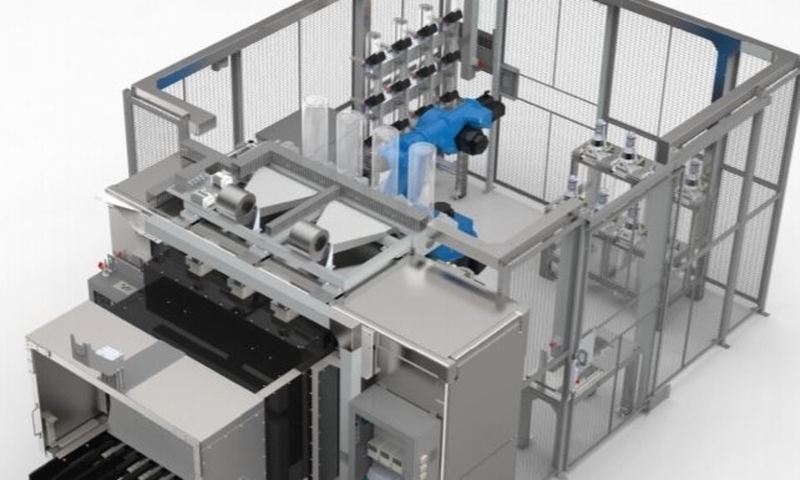 It has a large build envelope that can print up to 1000 x 800 x 600 mm objects, and it is used to print prototypes, architectural or design objects. PLUTO is a very small and affordable 3D printer powered by the 3Devised company. PLUTO is the smallest top-down DLP 3D printer and it can process 3D printing materials such as Stainless steel and powder coated steel. 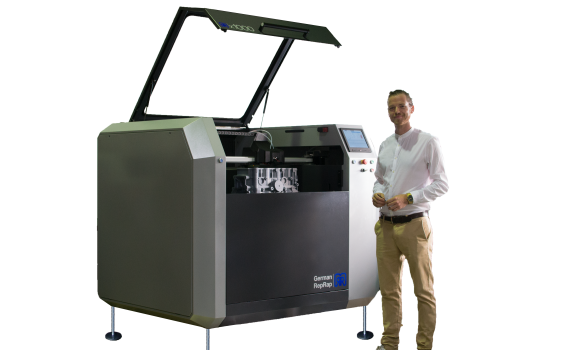 Its building volume is up to 85.4 x 48 x 130 mm and the printer itself has the size of a small coffee machine. PLUTO also comes with an Open Source and user-friendly 3D printing software, to adjust your 3D printing parameters and prepare your 3D model for 3D printing. 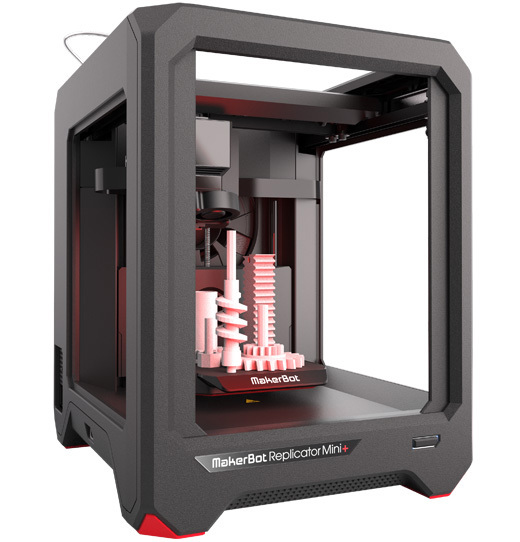 The MakerBot Replicator Mini+ is one of the smallest 3D printers that are using the Fused Deposition Modeling technique. Comparing it to a typical desktop 3D printer, it has quite a small building volume: 10.1 X 12.6 X 12.6 cm. Makerbot is a well-known company for its desktop 3D printers, with high levels of expertise in the field of Additive Manufacturing. The interesting thing about this 3D printer is that not only it’s a user-friendly machine, but it can also be managed through the makerbot app. With the “MakerBot Mobile” app the user can have guided wireless setup and even monitor and control the 3D printing jobs via the 3D printer’s on-board camera. Micro is a small 3D printer powered by printm3D company. 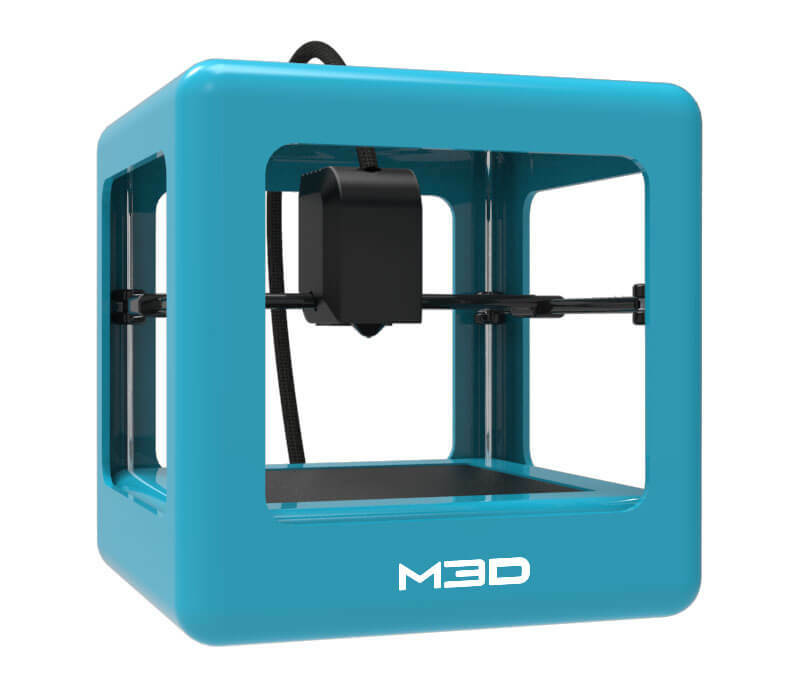 It is a desktop 3D printer that uses the Fused Deposition Modeling 3D printing technology. The Micro 3D printer can process 3D printing filament such as PLA and ABS. The maximum volume of a 3D printed object is 116 mm (height) x 109mm x 113mm. Apart from the building size, there are many other parameters to keep in mind when looking for a 3D printer. Especially for professional use, the selection of the right 3D printer is not an easy task. To make it simpler, we recently introduced you to the best 3D Printers that will soon be launched on the market. Among them you can find innovative 3D printers for faster manufacturing and prototyping, 3D printers especially suited for creating complex parts and even 3D printers with an 80% higher build rate! Metal 3D printing is one of the common fields of applications of Additive Manufacturing, thus, we wrote a dedicated blog post about that. Metal 3D printers are used in various industries, thanks to the possibilities they offer, the creation of parts they enable and the materials they process. In this blog-post, we introduce you to the best metal 3D printers on the market and to the ones we use for our online 3D printing service. Small, average or large-size 3D printer? Expensive or cheap 3D printers? Depending on your needs, you can find the one that fits you best. However, if you can’t afford to buy your own 3D printer, you don’t have to pull back your 3D printing project! If you are interested in 3D printing a 3D model, you can upload it on our online 3D printing service and we will 3D print it for you with our in-house 3D printers!